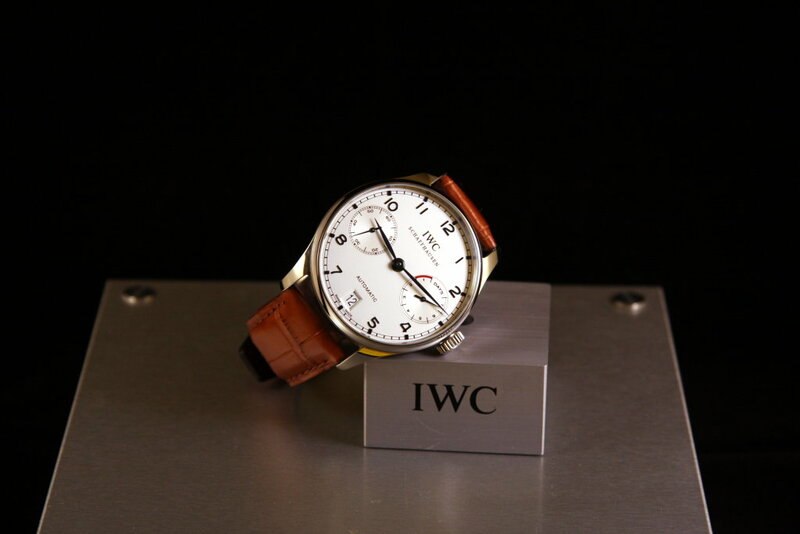 Official IWC Portuguese pictures thread!! 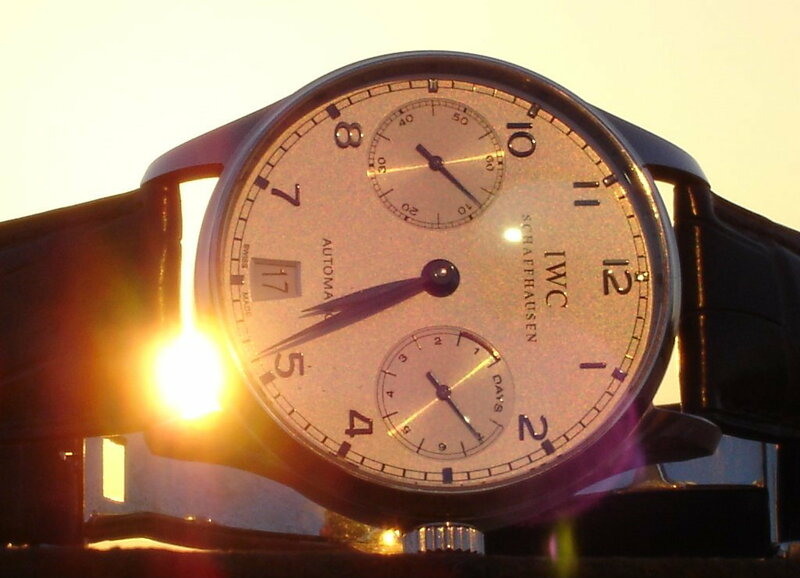 Thread: Official IWC Portuguese pictures thread!! 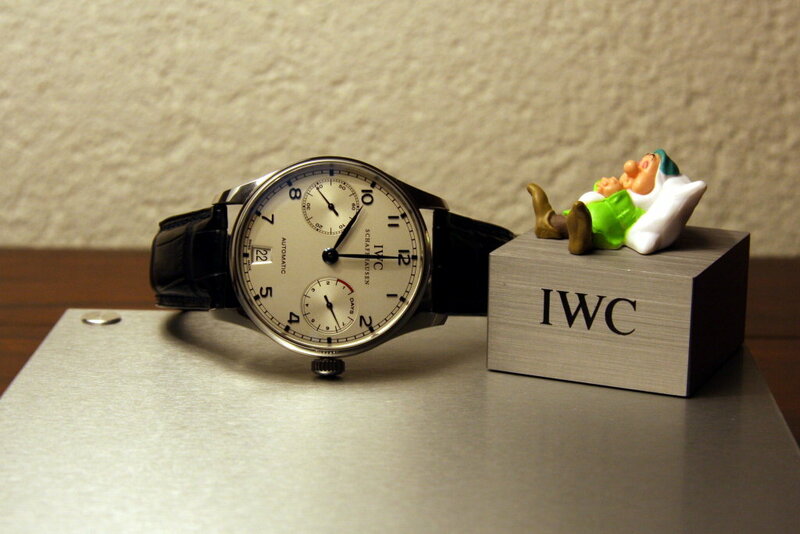 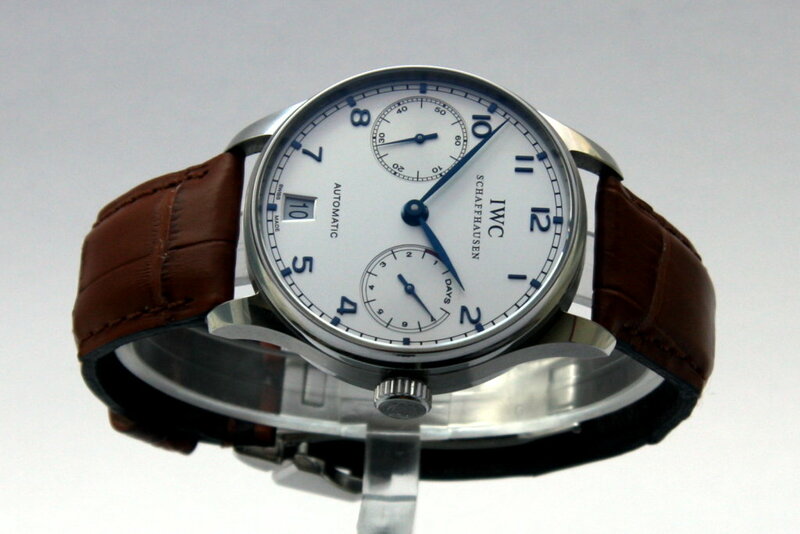 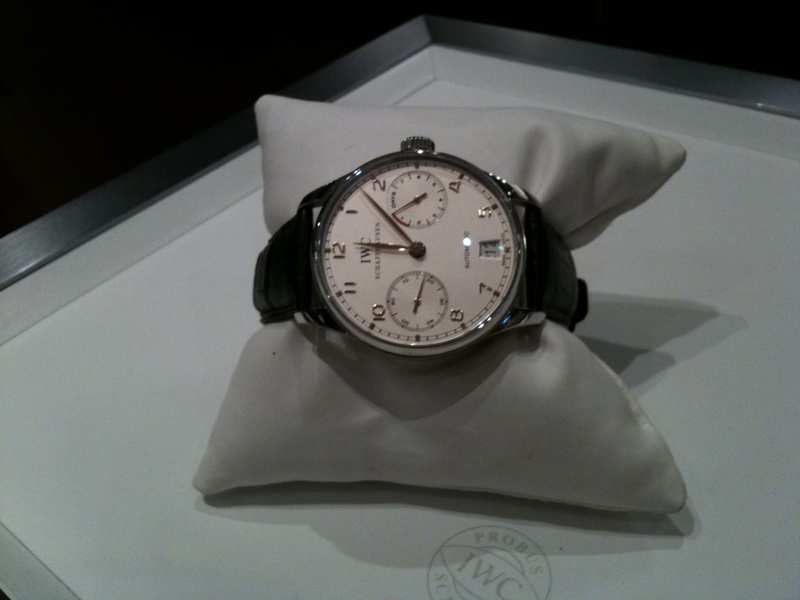 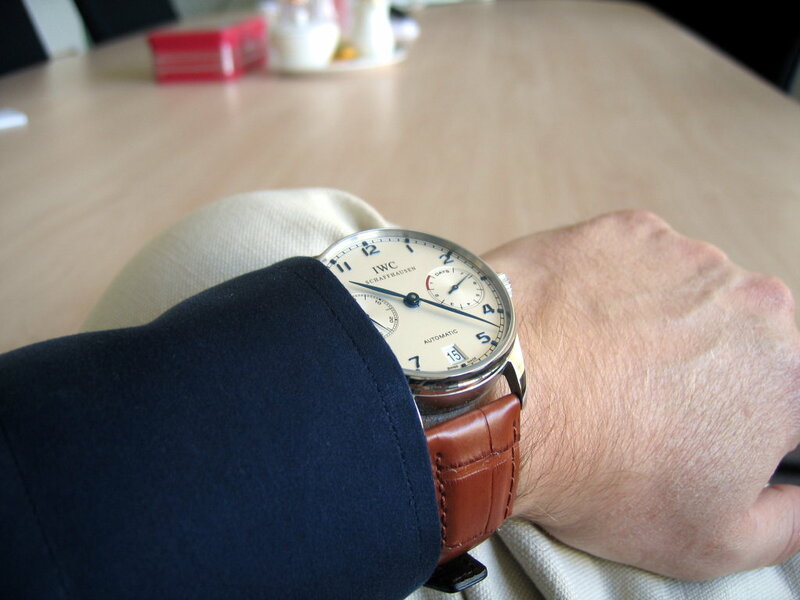 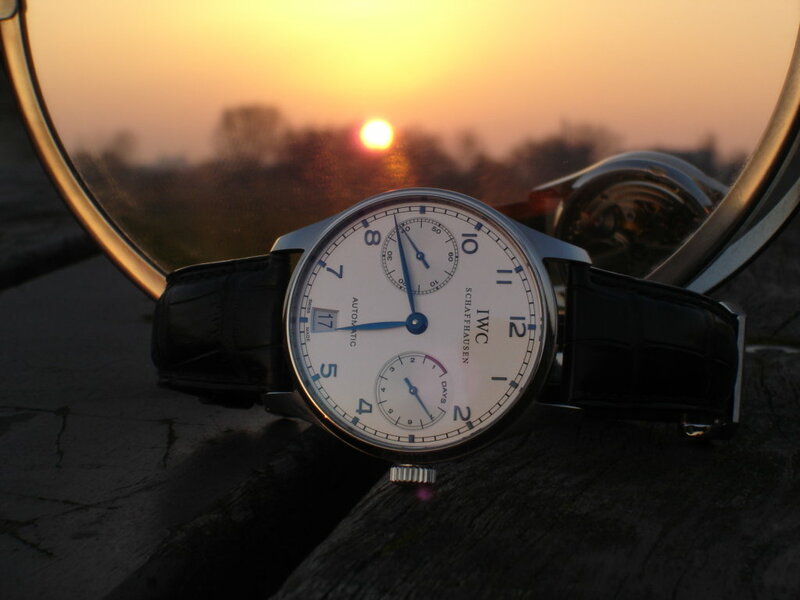 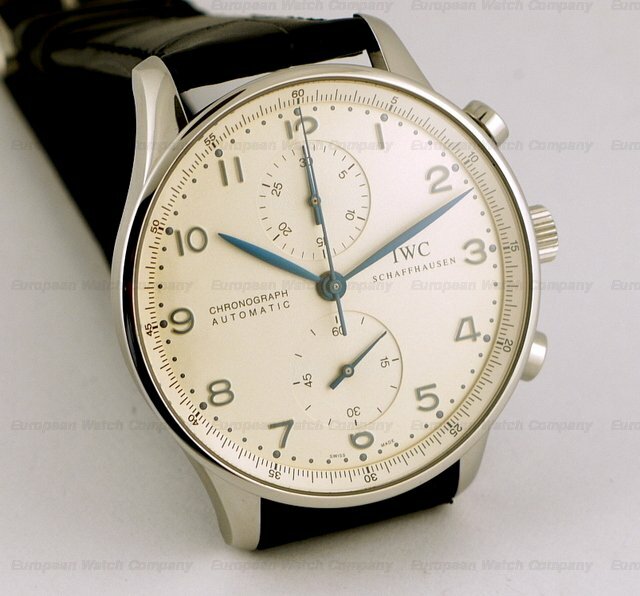 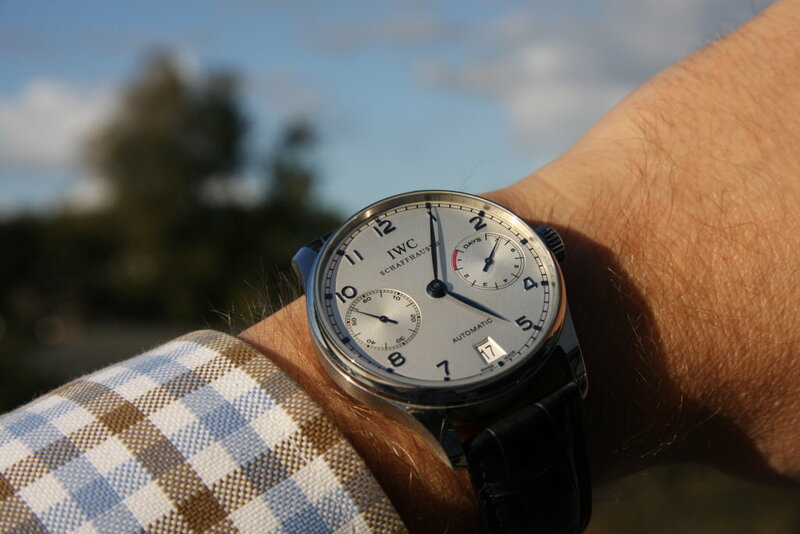 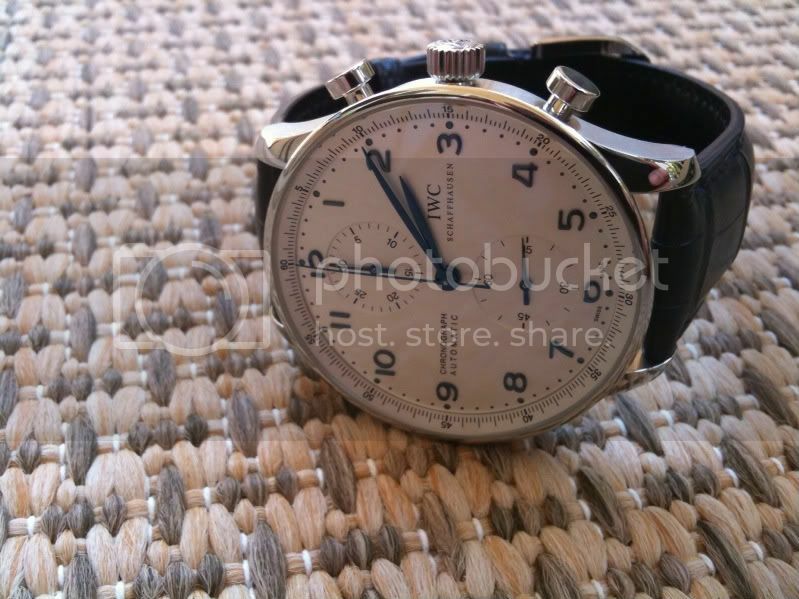 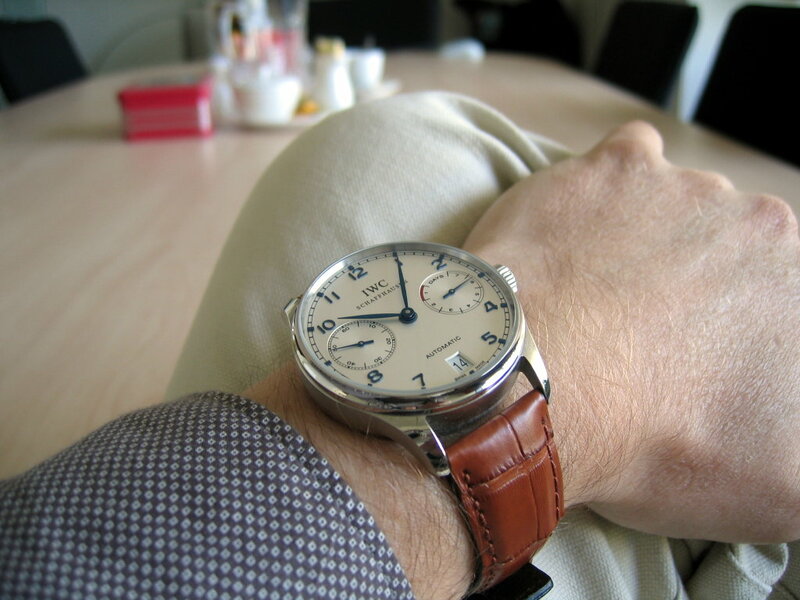 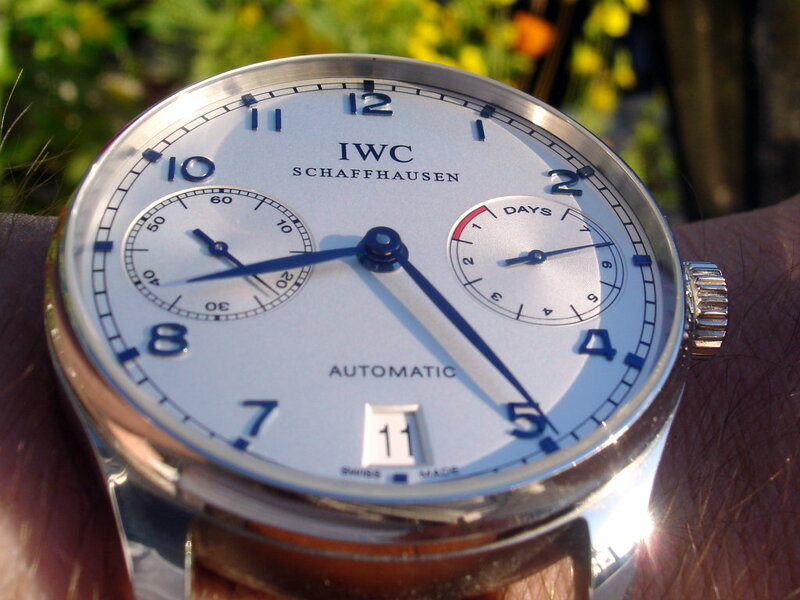 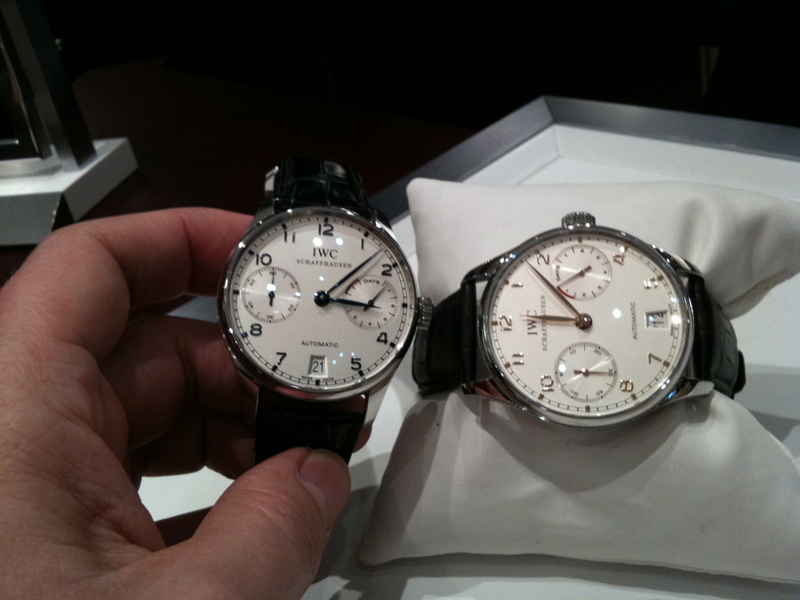 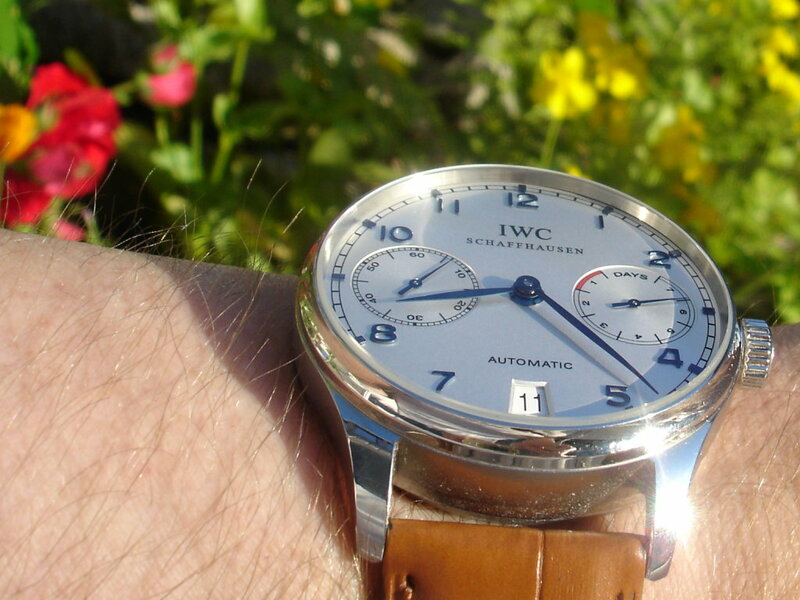 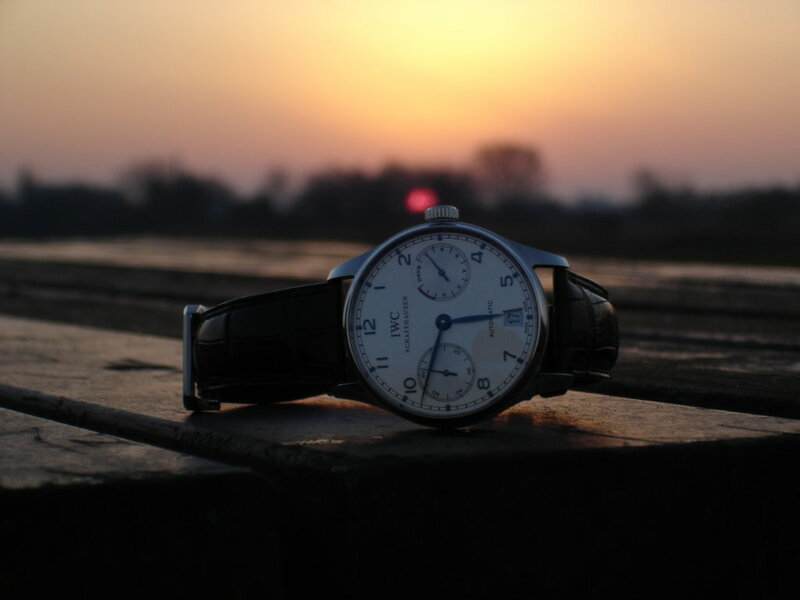 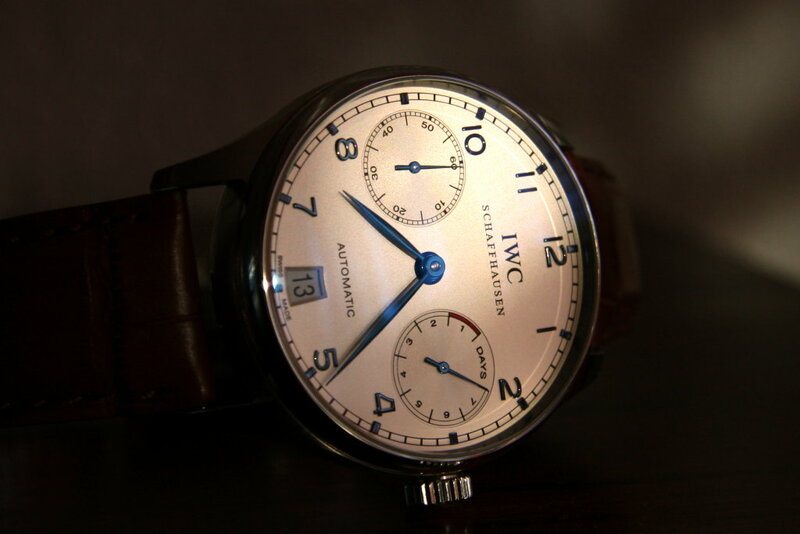 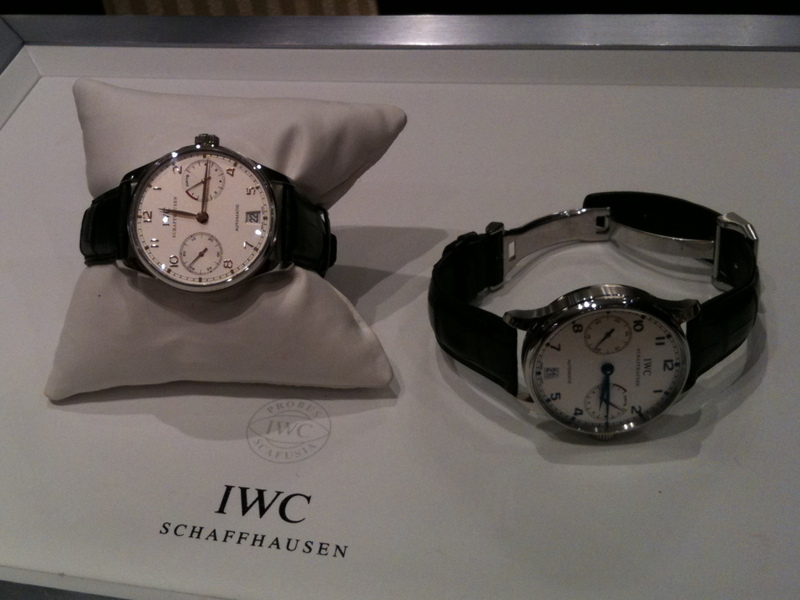 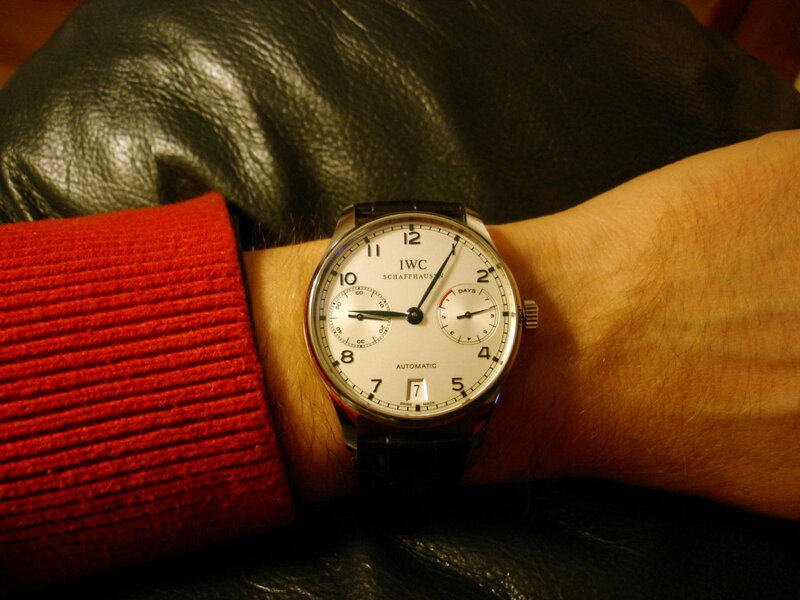 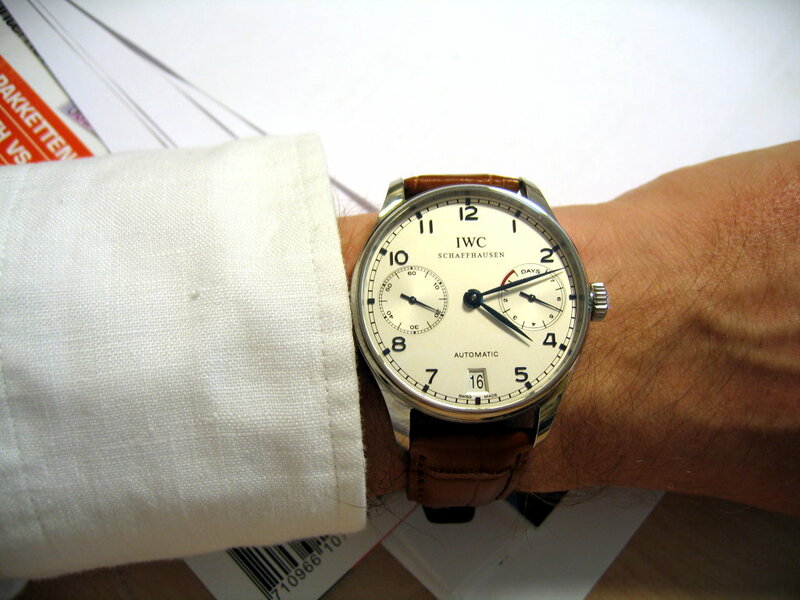 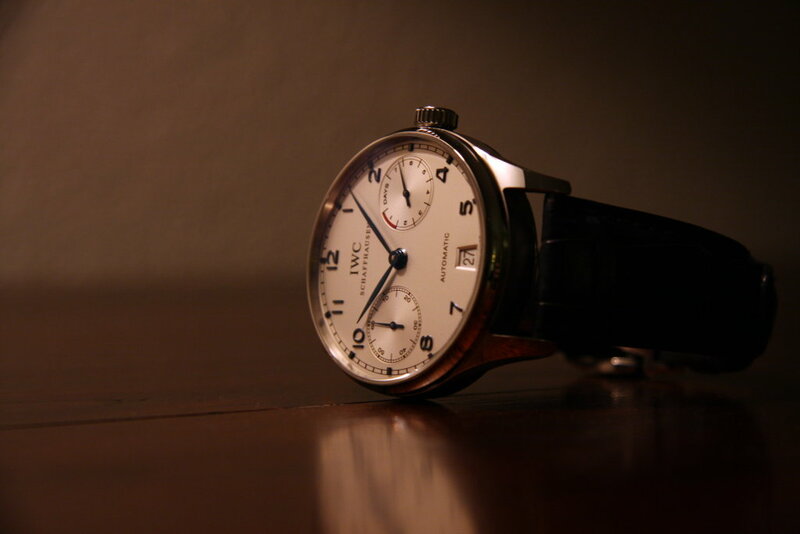 Here you can share pictures of one of the most iconic IWC watches, the IWC Portuguese. 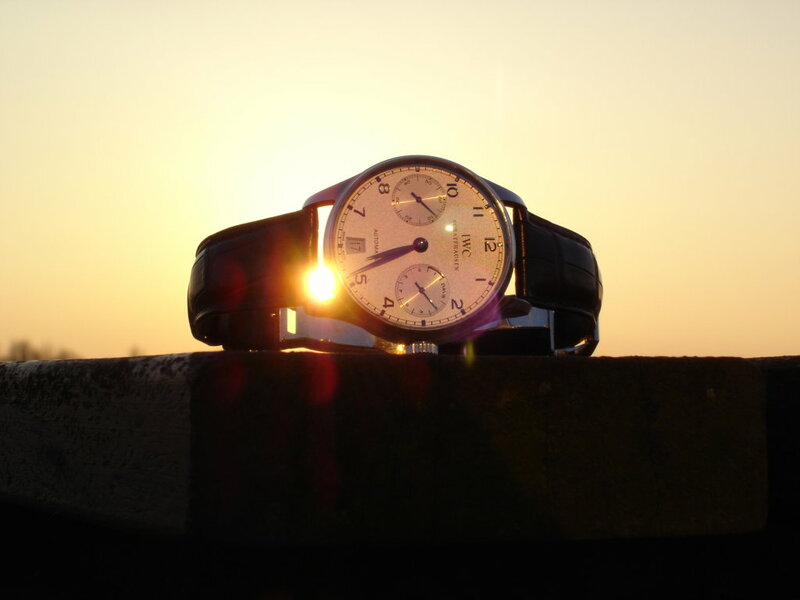 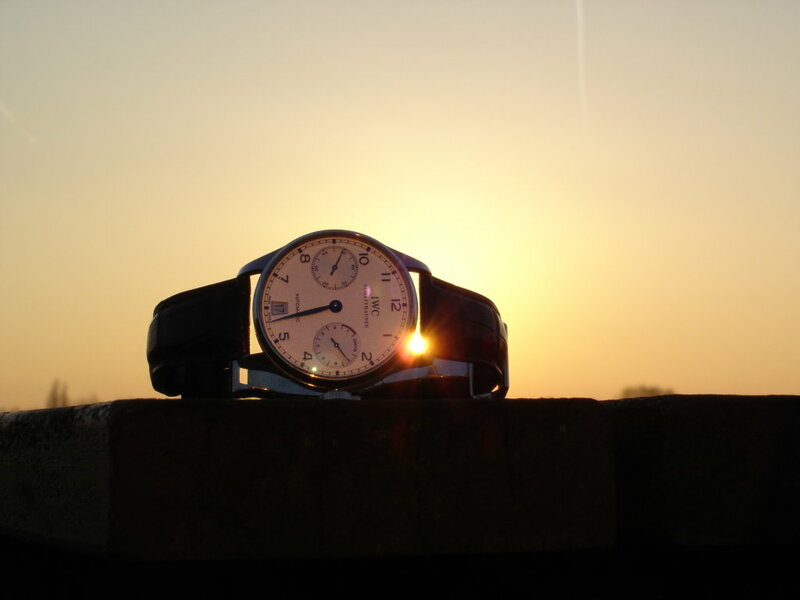 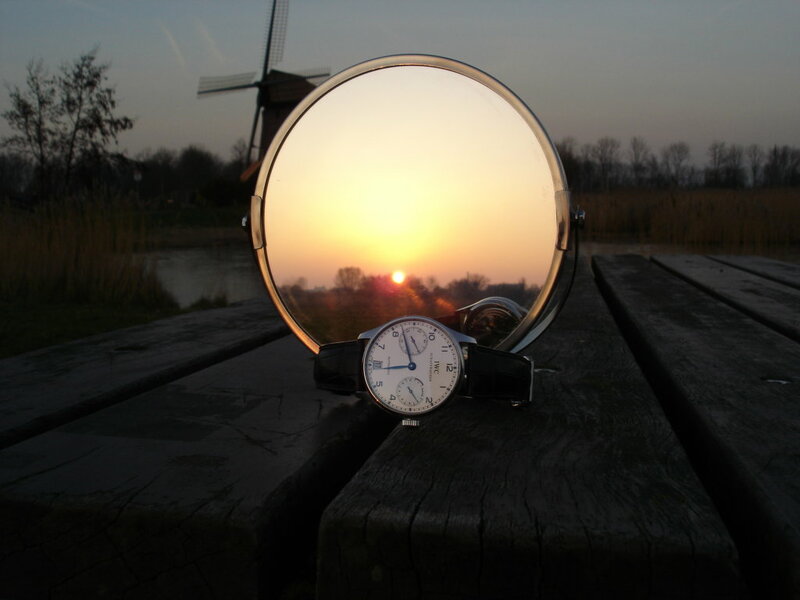 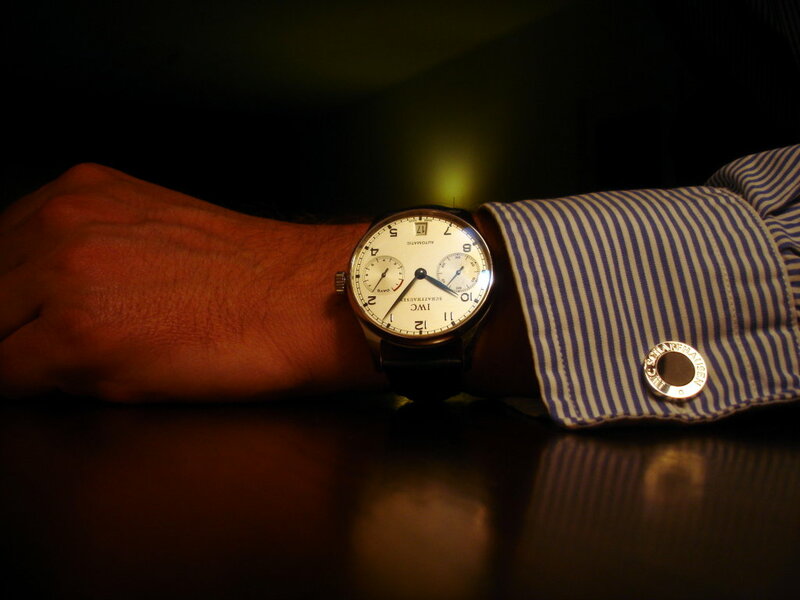 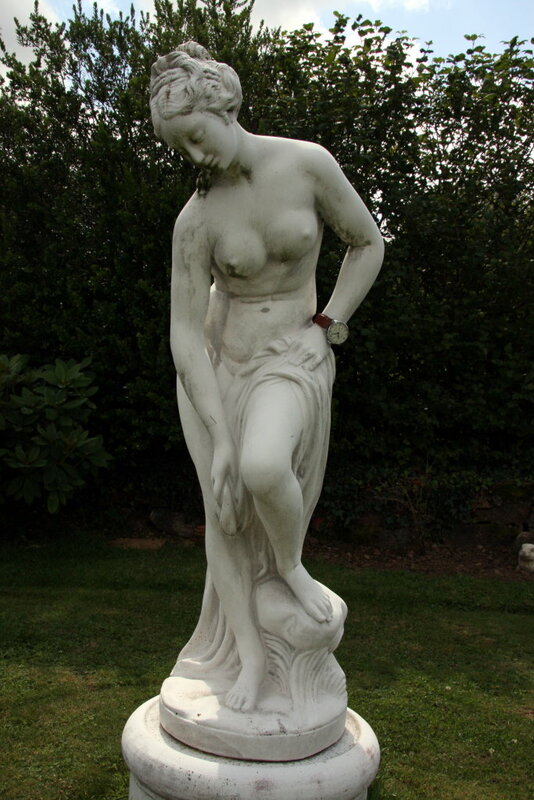 Staudt and Watchlovers_View like this. 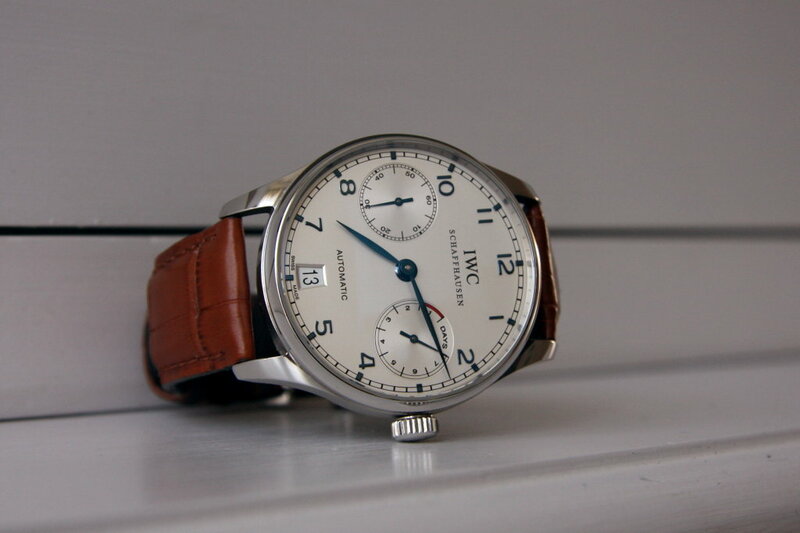 Re: Official IWC Portuguese pictures thread!! 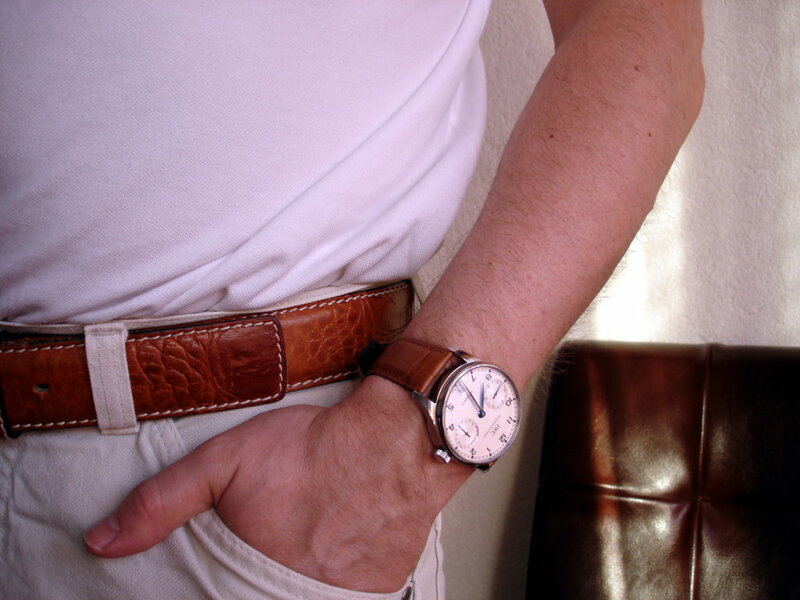 Staudt and Mancayve like this. 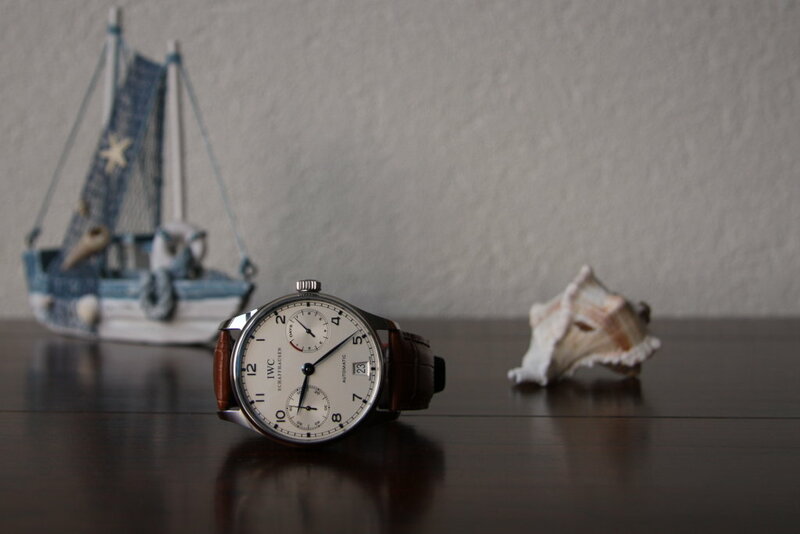 That is a nice set of pictures!! 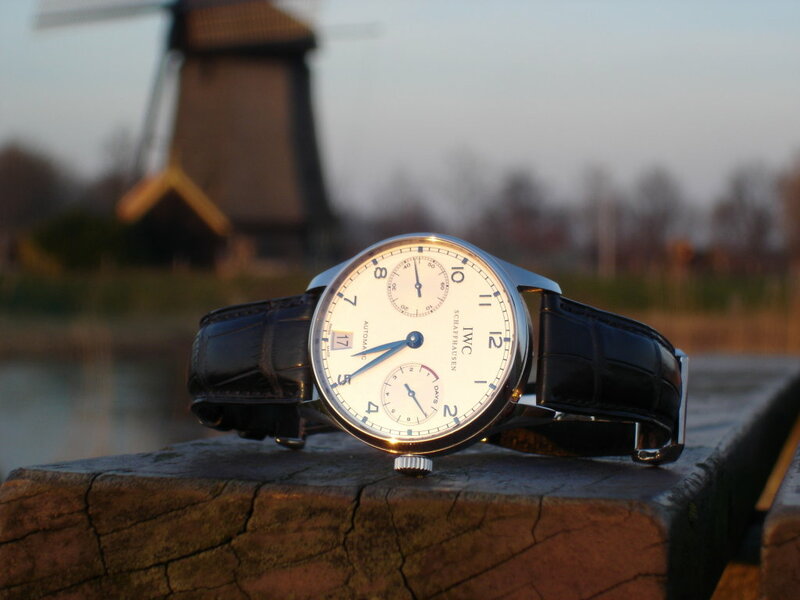 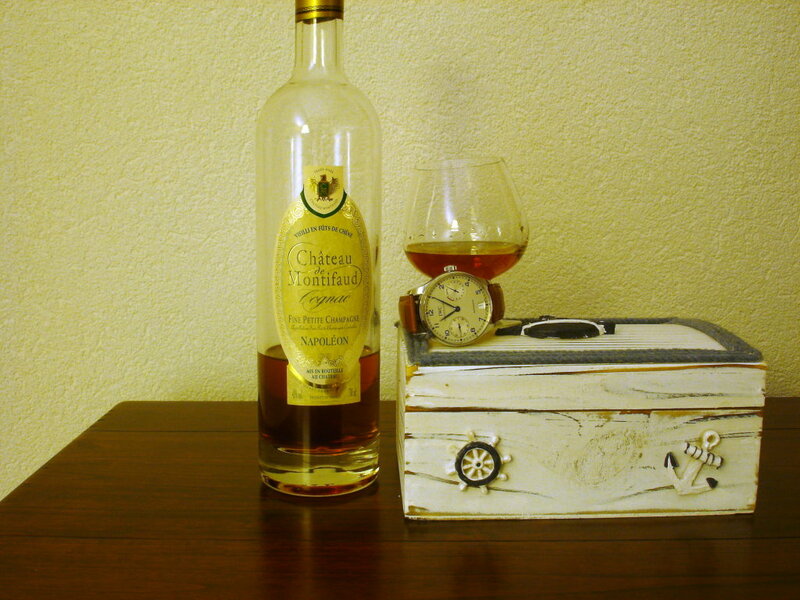 What is your next Portugieser? 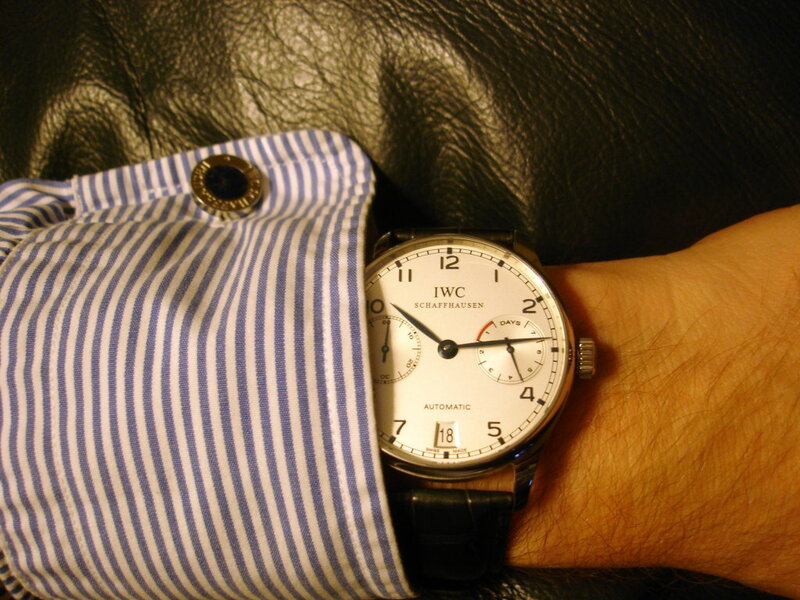 Lumin, Redsox 26 and Staudt like this. 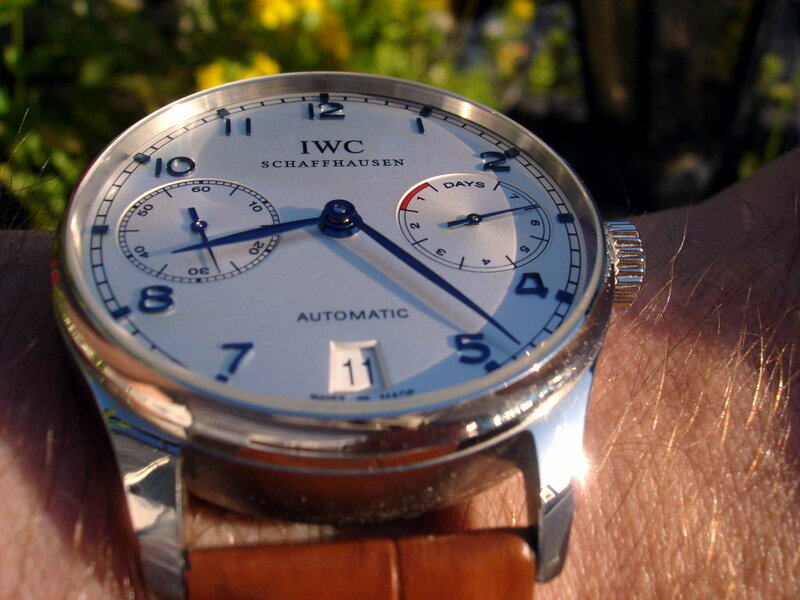 karmatp, SwissPrecision, Bradu2010 and 8 others like this. 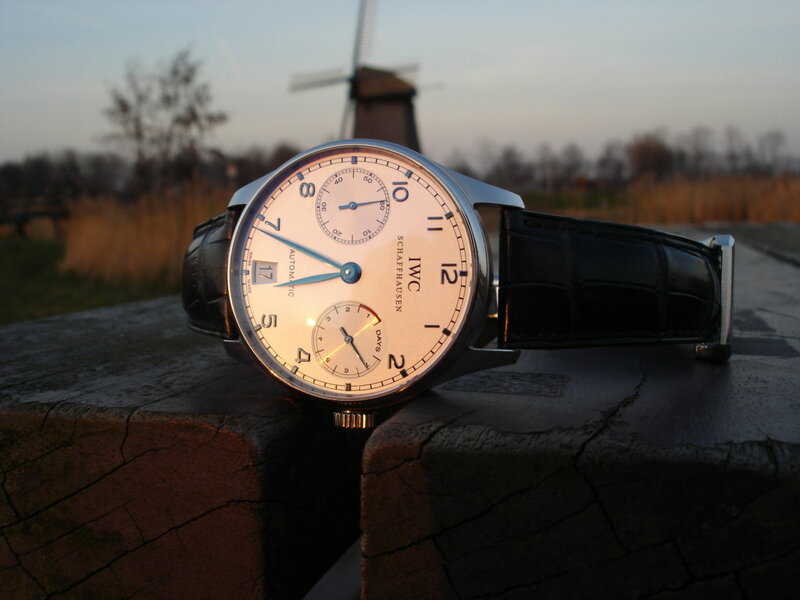 By the way, where did you take the windmill pictures (looks familiar ..... 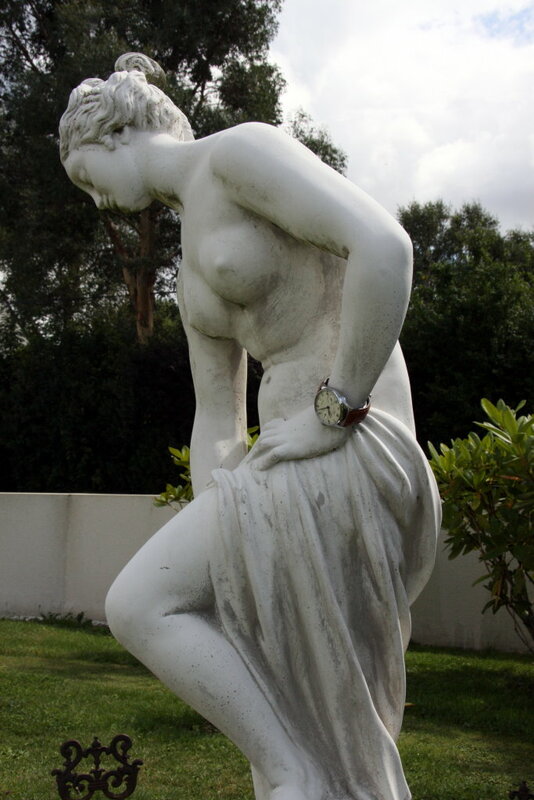 I've done my share of skating when I still lived in The Netherlands and this one looks familiar. 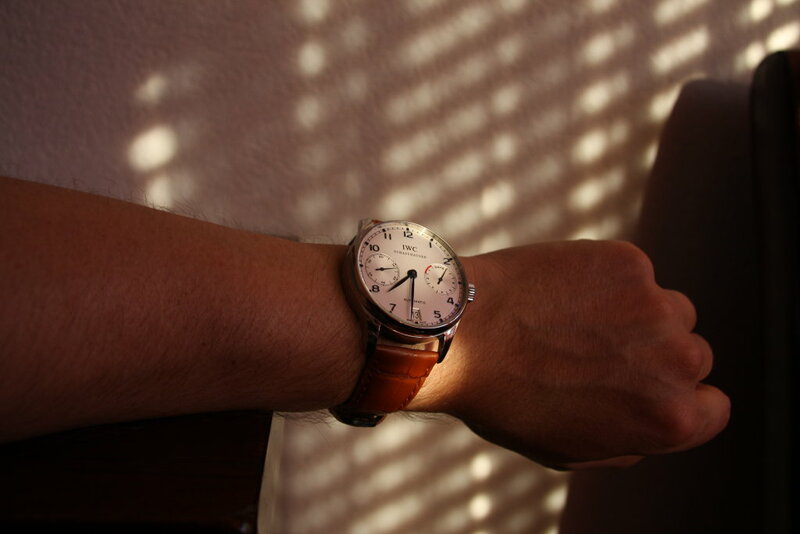 Thanks RonB! 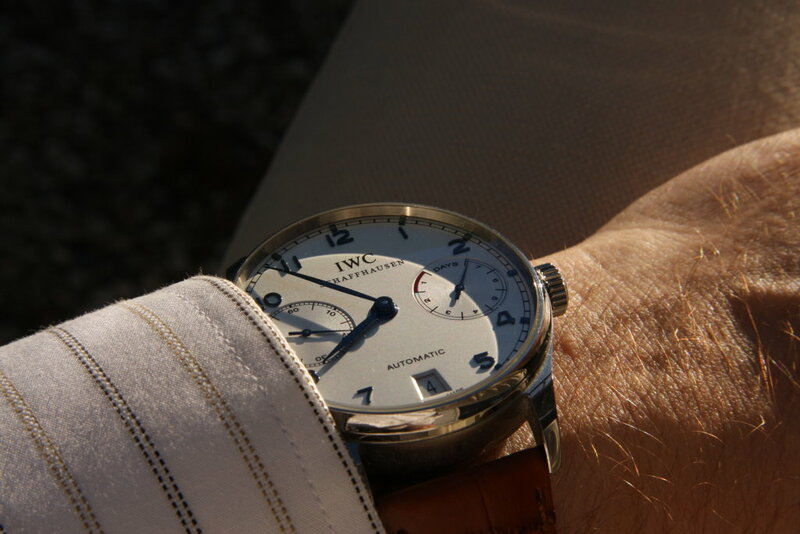 My tan brown strap is not an original IWC strap either, it's a short strap I bought from "The Watch Boys" and it works fine with the folding clasp. 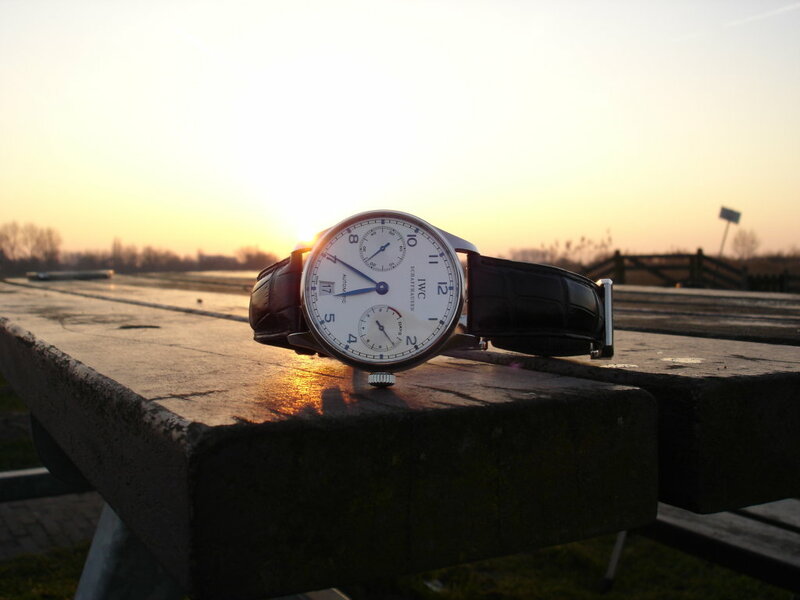 As for the windmill pictures: they are taken in Noord Holland, near Oudorp close to Alkmaar. 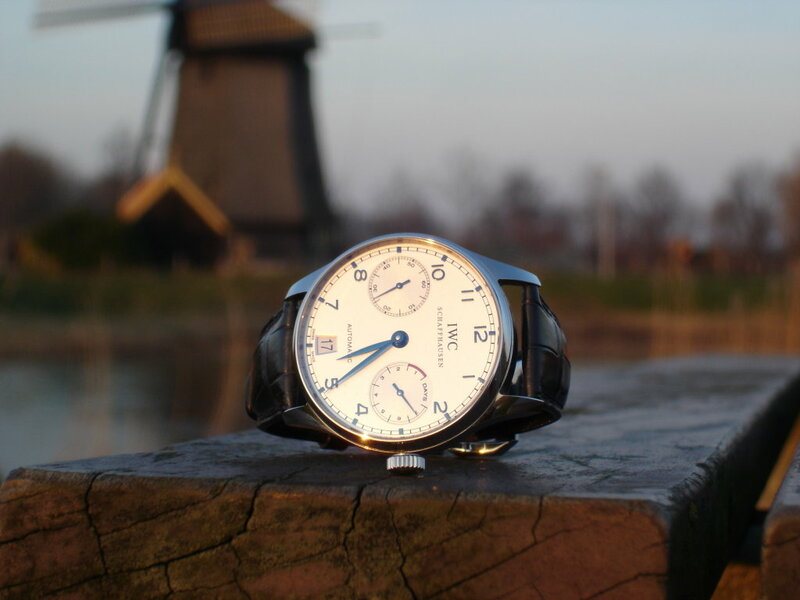 I told you that I thought I recognized the windmill, one of the Zes Wielen I have lived in Oudorp (Ooievaarsnest, to be precisely) from '71 - '84 and been in a few of these mills as well as in the Rode Hert (you know that one got damaged in a storm a few months back?). 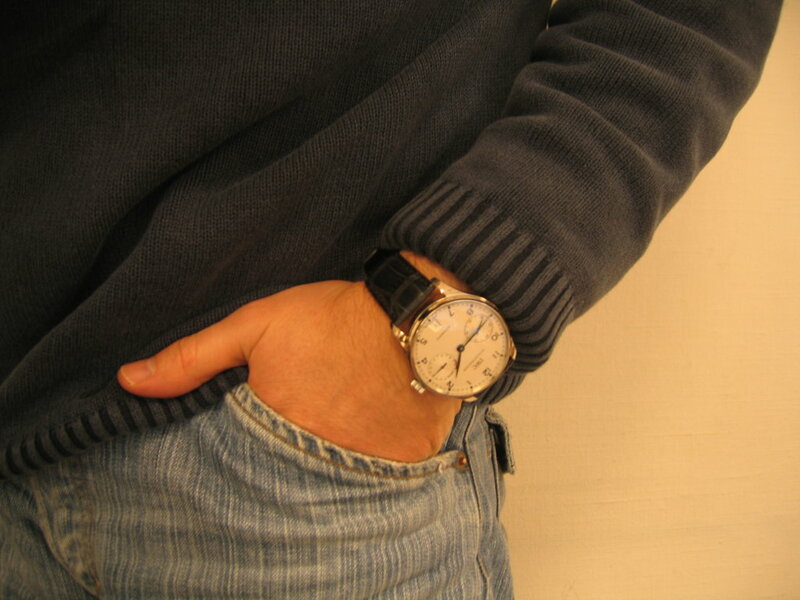 You live in the area? 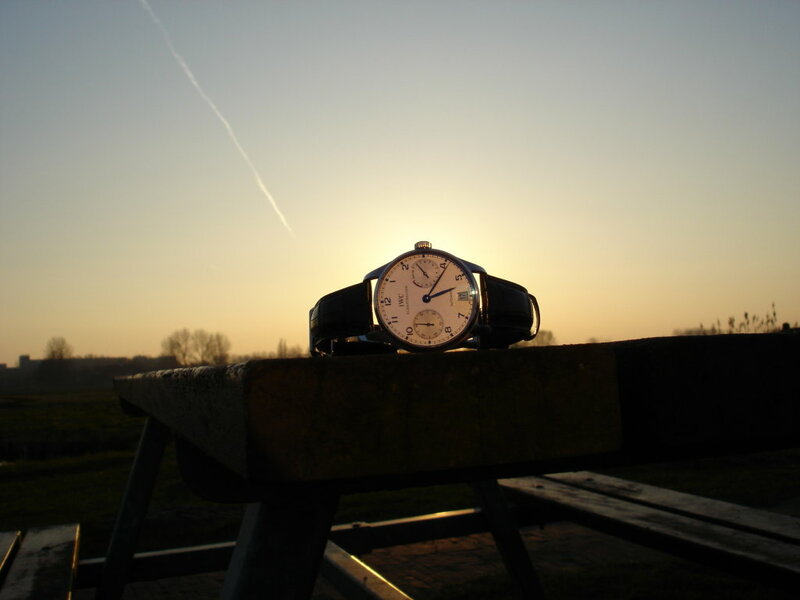 Last edited by MHe225; October 9th, 2010 at 14:36.